Using such terms as science and technology, which have been relatively - cently adopted, to write about situations and events that occurred 2,500 years ago, may be a paradox. The Homeric Epics, the Iliad and the Odyssey, refer to the Mycenean Era, a civilisation that ?ourished from the 16th to 12th c- tury BCE. 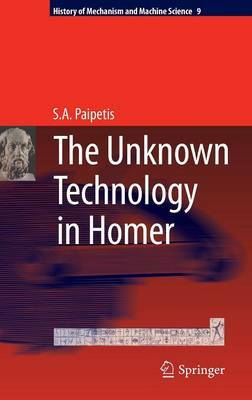 The seeming paradox ceases to be one when modern specialists, searching through the ancients texts, discover knowledge and applications so advanced, that can be termed as scienti?c or technological in the modern sense of the words. The present book is based on extensive research performed by the author and his associates at the University of Patras, along with the presentations of other researchers at two international symposia, which he organized in 1 Ancient Olympia. It consists of ?ve parts, of which Part I is introductory, including such chapters as Homer and Homeric Epics, Troy and the mythological causes of the War, Achilles and his wrath, the siege and fall of Troy, Odysseus' long way home, the Trojan war and the cultural tradition, scienti?c knowledge in the Homeric Epics and ?nally an account on science and technology. Part II includes three chapters on applications of principles of natural s- ence, including chariot racing and the laws of curvilinear motion, creep in wood and hydrodynamics of vortices and the gravitational sling.